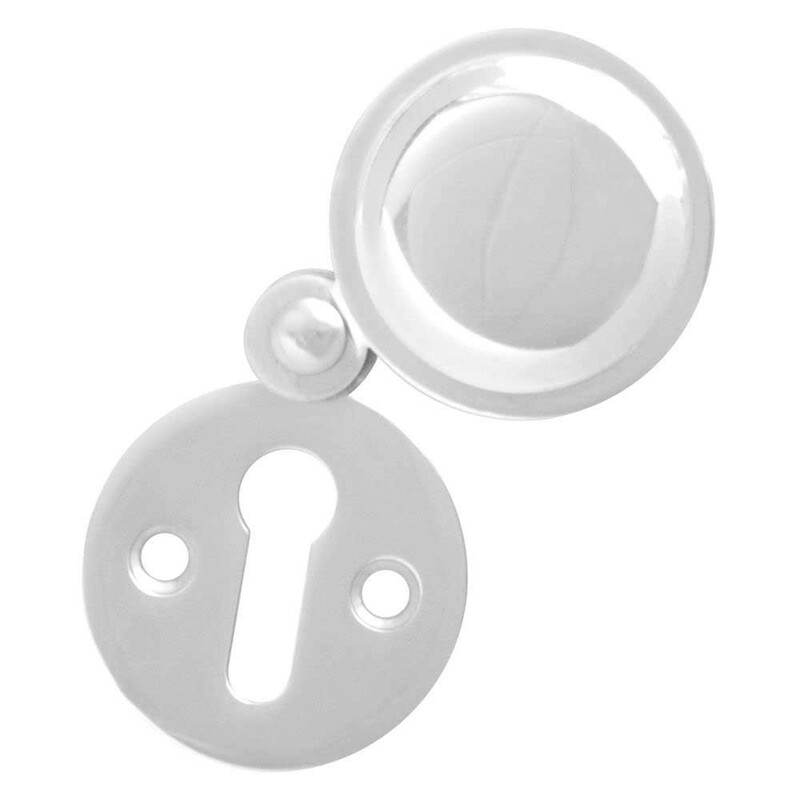 The Asec Covered 32mm UK Escutcheon is easy to fit and leaves a tidy finish to where the door has been cut to accept the mortice lock key hole. It has a cover that automatically falls down to cover the key hole when not held up. Gravity cover, automatically moves to the closed position when released. Front fixed. Supplied complete with fixings.